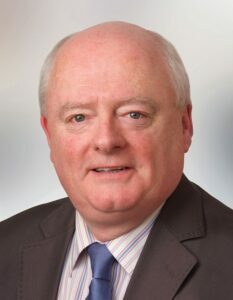 Originally from Drimoleague, in West Cork, and brought up in a political household, I joined Fine Gael in 1974, and canvassed Munster during the European Election of 1979. I moved to Cork in 1978 and continued my involvement with the Party, joining the Carrigaline Branch in 1984. Married for 25 years to Moninne, I have three daughters, Amy, and Jeanette, both adults, and Shelly, who attends the Carrigaline Community School. We have a small local convenience store, and have been here for the past 16 years. Because of the nature of the business, I am in constant contact with the community, and can understand the pressures that all sectors of society are experiencing at the moment. As a public representative, it has been an honour to serve the people of this area.